The new PRofec is compact, powerful and easy to use. The large OLED Display, with the simple two-button / rotary-dial control, make for intuitive operation. An ultra slim controller can display in digital, bar-graph, or graphical modes and can be rotated 180 degree for installation with the included adjustable mount or flush mounted. By separating the display and control unit in the driver’s compartment, from the engine compartment-mounted, waterproof, sensor unit, it makes installation straightforward. Only one thin harness is required to be routed through the firewall. The combination of the new 300kPa (43.5psi) integrated pressure sensor, the more compact solenoid valve and faster ECU processer, provide quicker response and the most stable boost curves yet. 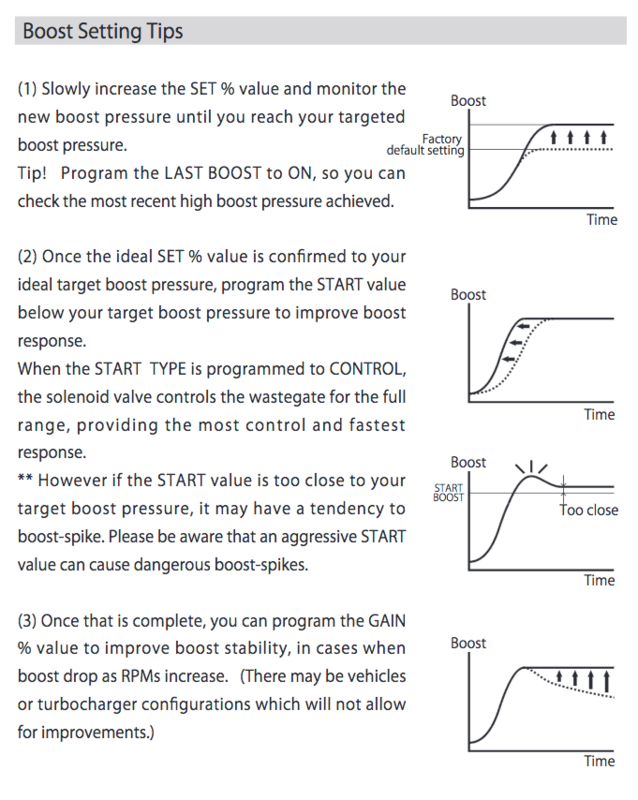 The PRofec also maintains popular features like, Lo, Hi, Scramble boost presets, last-boost display, peak-hold recall, warning alert and safety limiter. The next evolution of the GReddy PRofec line of electronic boost controllers is here! *For Off-road use ONLY. Check legality of aftermarket products with your local state, county, city authorities before purchasing. allows PRofec to use scc switch adapter in order to switch boost levels according to speed. Boost Controller Expansion Module - NEW! Additional connections depending on application. Also see optional Profec MAP expantion pack for more features.